If you were to ask someone their definition of an emotionally harrowing film, chances are you’d get some different answers. Many would point out obvious tearjerkers like Broken Circle Breakdown while others would give a shout out to realistic depictions of relationships gone astray like, say, Scenes From a Marriage or Blue Valentine. None of these answers are wrong, really. When you talk about emotions you’re talking about subjectivity; how people personally respond to a scenario presented in film. That’s the main reason why reaction so often differ from viewer to viewer. While some are extremely moved by a situation, others react coldly, barely even registering an honest emotional reception. There are certain films, however, which are pretty damn sure to elicit strong emotional reactions from its audiences. Films with grim and bleak premises, which relish in the suffering of its main characters and mostly don’t offer happy endings of any sort. That’s not say these films are misanthropic, mind you. They’re just really, really depressing in their depictions of whatever it is that they are showing. Here are some poignant examples of emotionally harrowing films. Throughout his remarkable career, Ingmar Bergman displayed an uncanny knack at writing broken characters. His actors’ gazes were often lost and distraught. They seemed as though they were constantly searching answers to all their existential crisis. And as usual, when time came to show his characters at their most vulnerable and destroyed, Bergman never pulled any punches. Through a Glass Darkly (the first instalment of his Silence Trilogy) is no exception. Centering around a family during their summer vacations, there is, from the very start of the film, a sense of something ominous surrounding the characters. The father and uncle figure vaguely discuss an incident involving the daughter. The boyish son seems to anxiously relinquish every moment he has with his sister, almost as if he knows they won’t last long. As the film progresses, the audience slowly begins to understand what it is that affects this family so much. As the film progresses, the audience discovers the terrible ailment that afflicts the daughter. Few times has schizophrenia been so honestly portrayed in the silver screen. Granted, there is a touch of theatricality here (after all, Bergman came from the theatre) but the way the disease takes its toll not only on the daughter but in all the other characters is disconcerting to watch. Seeing a man falling into depression because he cannot help his daughter as she spirals down to madness is a tough sight to behold. 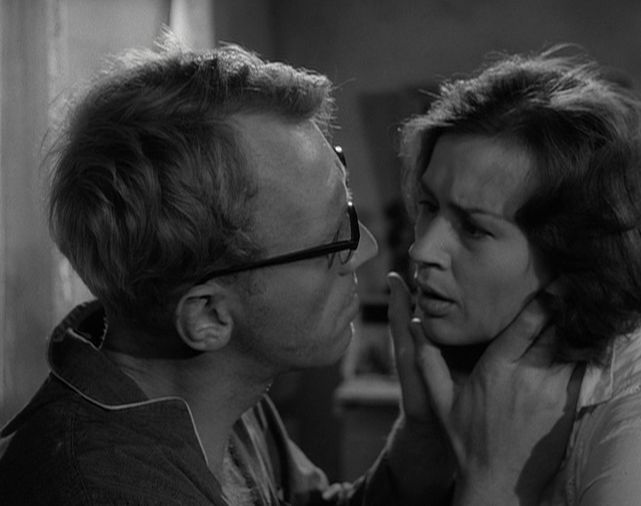 And yet Bergman refuses to turn away, showing every bit of the family’s painful trajectory. There is a point in Darren Aronofsky’s superb Requiem for a Dream when the desperately lonely Sarah Goldfarb dreams of a perfect world. Right at the very end of the film, as she is strapped to a hospital bed, already semi-lobotomized, she daydreams of being in television with her dead husband and her drug-addled son Harry. If only the film were like that, we wouldn’t have to witness the torment all the characters go through. Requiem for a Dream tells the story of four people caught up in addiction. Be it the three young ambitious yuppies who go in over their heads on cocaine and heroine or be it the depressed old woman who starts taking more and more pills to lose weight, the path of addiction is a nasty one. What Requiem does so tremendously is making us feel for the characters. They aren’t some high-profile stock brokers who make a living out of destroying the lives of poorer people. The characters in this films are actually good people who made small mistakes, and those mistakes became a monstrous snowball. It is disturbing to watch the progression of chemical dependency. Seeing as the characters go from only taking a hit when they feel like it to them being desperate because it’s been a few hours since their last is harrowing. The stylized directing and insanely fast editing also helps putting the audience inside the mind frame of these characters, and makes it even more painful and depressing to watch them plummet ever downwards. It is reported that the great late Robin Williams once called Steven Spielberg on the set of Schindler’s List just so that he could cheer the director up a bit. Spielberg’s parents and grandparents were survivors and immigrants of the Holocaust, which made shooting the film a very grim and emotional experience for the filmmaker. That personal torment is immediately visible from the fist frame alone. Schindler’s List follows Oscar Schindler, an ethnic German businessman who saved thousands of Jews from death at concentrations camps by employing them in his fabrics. More than a mere account of his heroism and dignity, Schindler’s List is a heart-breaking retelling of the terrors of WWII. The animalesque vision of Nazi official Amon Goeth shooting Jewish inmates from the top of his porch, just because he could and just because it was fun is one that is hard to shake. As is the sequence in which women prisoners are escorted to the showers of Auschwitz, unaware if water or gas would come out of the pipes. Shot in strikingly beautiful black-and-white, and containing one of John William’s greatest scores, Schindler’s List is brutal and revolting. The sheer cruelty perpetrated in the camps, the oppression and staggering violence. The little girl in the red dress. And who can hold back tears at the scene in which Oscar breaks down, blaming himself for not having saved more lives, beating himself up for having spent too much money on frivolous things? 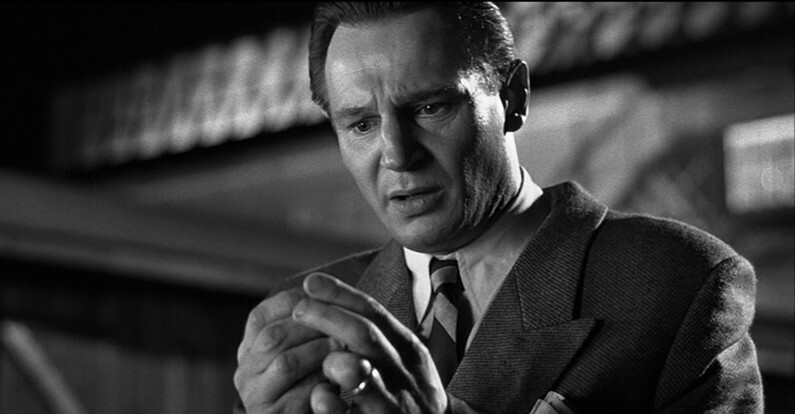 Emotionally violent and brutishly graphic, Schindler’s List will leave you bawling. Theodoros Angelopoulo’s films are feasts to the eyes, but more often than not they’re also pretty depressing. The slow and almost fluid way his camera moves, the misty atmosphere and gray architecture, the murky lighting and downbeat colors, all contribute to a melancholy aura that encircles his films. One of his greatest masterpieces, Landscape In The Mist, takes that to another level. Arguably the most depressing road movie ever made (bar, perhaps, The Road), Landscape is the story of two Greek children who run away from home in an attempt to find their estranged father in Germany. Travelling however they can, the brother and sister soon discover that the world is not by their side, and thus they experience bleak and violent situations no children should ever have to see. But even as they travel a road paved by lies, false promises and sexual assault, the children hold on to the hope of reaching a man the audience knows they’ll never find. Growing up is tough enough, but growing up in such a brutal and unforgiving way is traumatizing. Landscape in the Mist deals with the loss of innocence in a violent and harrowing manner, as it is heart-breaking to watch the characters navigate in such an unapologizing world. 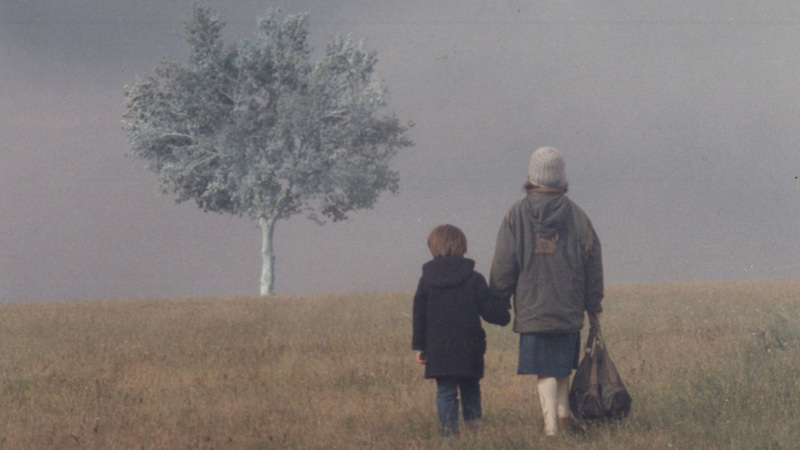 One of Angelopoulos’ finest and toughest films, Landscape is a glimpse into the minds of two naïve children travelling a road they were never even remotely prepared to roam. Lars Von Trier’s penchant for making his female characters suffer horribly is well known and well criticized. From Nicole Kidman’s enslavement and abuse at the hands of an entire city in Dogville to Charlotte Gainsbourg’s adventures into grief, severe depression and even genital mutilation in Antichrist, one would think the filmmaker had been through all the tools in his arsenal. But you’ll never reach the peak of Trier’s misanthropy if you don’t watch Dancer in the Dark. A dramatic musical about an immigrant factory worker slowly going blind, Dancer in the Dark is a saddening account of injustice. 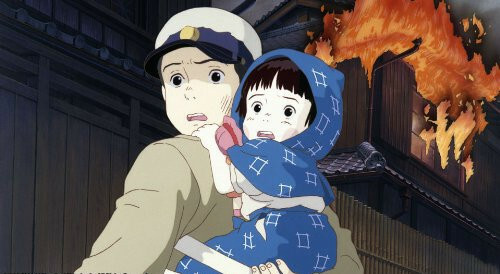 The main character suffers from a degenerative eye sickness and is saving up money so that her young son – who suffers from the same condition – may go through an operation to save his sight. However, a neighbor takes advantage of her blindness and steals her savings, which prompts her to confront him. At this confrontation, the man is killed and the woman is imprisoned and then sentenced to death. What makes this film so damn grim, apart from the main storyline, is its bizarre musical qualities. In daydreams, the character’s tough and eventually boring life transforms into elaborate musical numbers, where people sing and dance in unison. Such uplifting moments go tumbling down after a few minutes, and the audience is starkly reminded of the harsh reality of the protagonist’s life. Although it offers a sort of happy ending – to a minimum degree – Dancer in the Dark will still enrage and desolate viewers with all the pain Von Trier forces his character to go through.